Working together, you’ll find that we are honest, hardworking, and creative. We listen first, then strive to exceed our client’s expectations every time. Here the scope, features, purpose, and functionality of your home are determined. We try not to define ourselves with just one particular style. Instead, we listen to our clients and interpret their vision. This “listen first” approach helps us identify needs and provide the best possible architectural design solutions. Using hand-drawn sketches, we are able to quickly exchange ideas to establish a visual dialogue with the client until it's apparent that we share a common vision. Sketches begin as simple diagrams and increasing in intricacy with every round. The designs lay out the program, address the site, and establish an exterior vocabulary. This takes a few meetings, but the result is a visual road map which will serve as a guide for the stages ahead. We insist our clients are excited, or we don’t move ahead. This is an exciting part of the process where dreams become the three-dimensional form of your home. We will evaluate how systems, material selection, preliminary structure, and detailing reflect the conceptual design concept. Your build team works out detailed coordination issues, while enhancing the project, so that major revisions are not needed during construction documentation or, worse, during construction. Continuing the design process, the architect prepares drawings suitable for permit submittal and construction. These construction drawings communicate the project to those who will be involved in the construction of your home, from the Builder to the Interior Designer. Having an architect on your side during the bidding phase of home construction is a big advantage. At minimum, we can aid you in developing a list of builders/remodelers, but we can also review submitted bids, provide analysis, and help you compare costs. 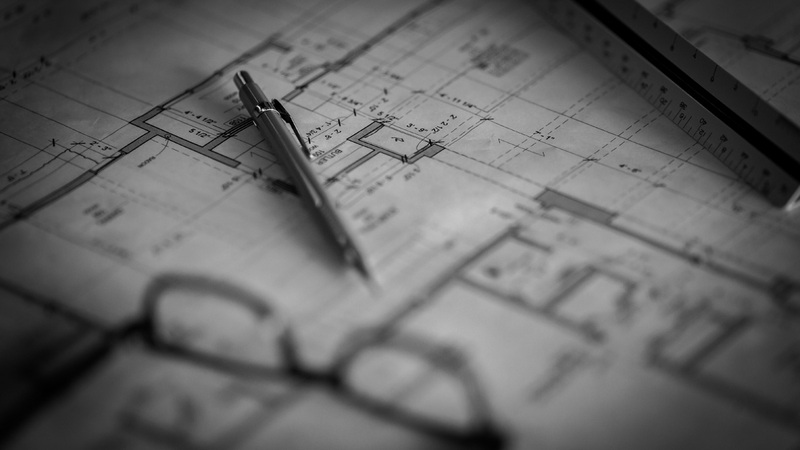 We will help ensure the contractors you are considering for your construction project are reading the blueprints correctly and providing accurate bids for your project.